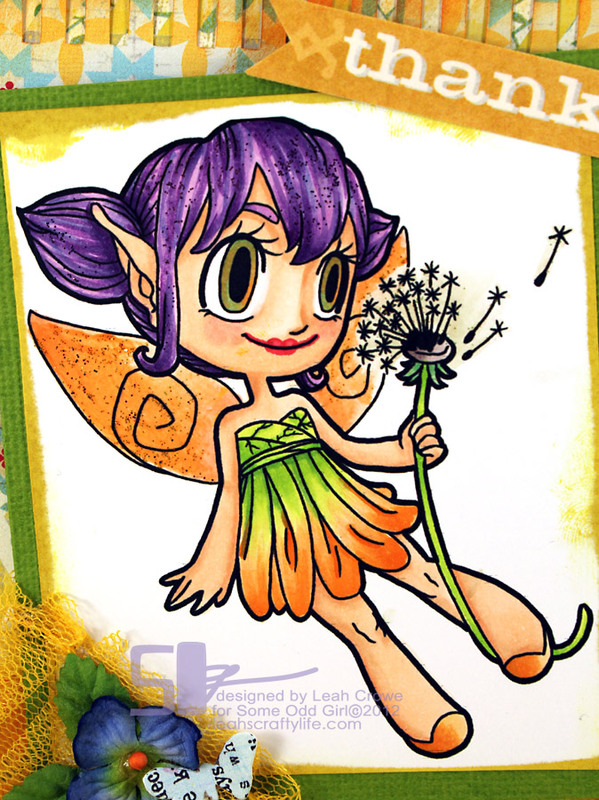 Yesterday, you got to meet Giggle Fairy, today please let me introduce to you Dandelion Fairy! She's young, fun, and full of life!! I colored her up so brightly and painted stickles on her hair and wings. I didn't realize just HOW bright she was until I photographed her. I'm not sure about that hair now.. although I do like that color family a lot. What do you think? Is it too over the top? I don't feel like I did her justice. I plan on re-coloring her in a few weeks. Her dress is my favorite. I wish we could run around in flower petal dresses like hers. Sooo cute! Leah she is so AWESOME...girl I love the bright fun colors....totally LOVE her purple hair...awesome card..
Love her funky purple hair!!! She's really cute, and the colors are so happy!! This is so bright and beautiful Leah! I love her hair!!! What an awesome shade of purple! Her dress is fabulous too! 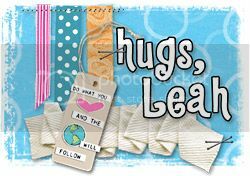 Super cute and fun!! Love the hair! Wowwwwwwwwwwww! This is GORGEOUS!!! I loveeeeeeee the bright, beautiful colors!! Loving the orange!! And I think her purple hair suits her perfectly! !